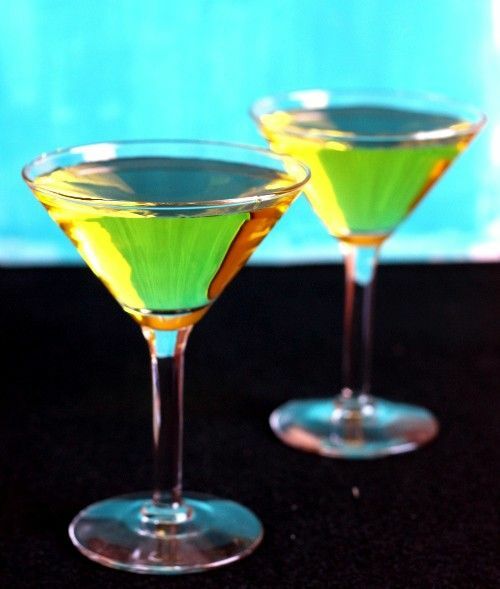 The Alaska cocktail features yellow Chartreuse, one of the less common spirits in cocktails. Yellow and green chartreuse are made differently and have different flavor profiles. This drink combines the Chartreuse with a healthy dose of gin and a dash of orange bitters to give it some warmth. The dominant note is citrus, followed by various herbal and flower notes. This is the sort of drink you may have to acquire a taste for. It makes a nice change from a martini. Fill a mixing glass halfway with crushed ice. Pour in the ingredients and stir well. Strain the mixture into a cocktail glass.